Everest. Say no more. This magic name has caught the imagination of a hole world. This is the second most popular trekking area, but is the mecca for mountain lovers. The whole area ozes of cuklture, history, dramatic sceneries and trekking joy for the fit. This is the most popular trekking area in Nepal. And that says a lot in this heaven of trekking. What stands out here is the accessibility, the gentle trekking possibilities and the huge variety in both physical challenges, natural beauty and good life. Langtang Region is the third most popular trekking region in Nepal. Langtang, Gosainkunda and Helambu is seen as the three major multitude of trekking destinations. The remote western site of Dhaulagiri offers some of the most demanding trekking in Nepal. The trails can be difficult. 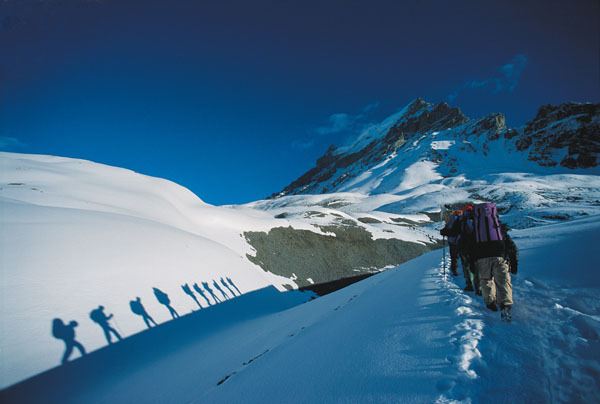 Following glaciers and crossing high snow lowered passes which present a challenge suited only to energetic individuals wishing to take on an adventure of a lifetime. 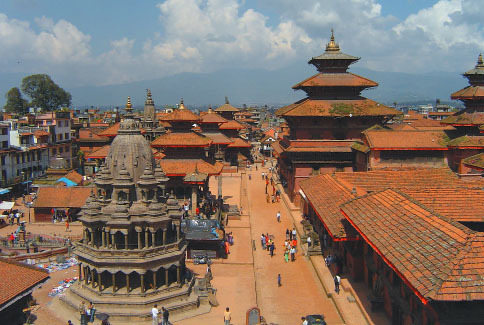 This is one of the most diverse areas in Nepal. The startling contrasts of lush valleys, towering, snow clad 8000 metres and the spectacular and harsh Tibetan plateau will send you senses on a high. On top of that, the gateway is Pokhara! At 8 201 meters, Cho Oyu is the sixth highest mountain in the world. It is located on the border of Tibet (China) and Nepal about 20 km to the west of Mount Everest. This is for the serious people who wants a challenge from the top drawer. 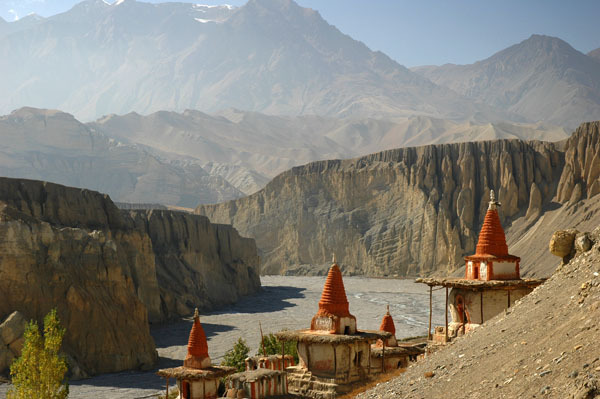 One of the favoured cities for trekkers, backpackers, mountaineers and anyone with a drop of adventure in their blood. Being here is wonderful. Going to the trekking even better. Returning for some indulging days is bliss. Everybody enjoys Kathmandue. But they love Pokhara. You come for a day or two, but will instantly realise that you want to stay longer. This place has everything. Even the view of the mountain range is stunning on a clear day!